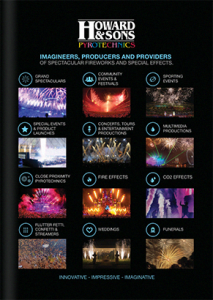 These successful projects demonstrate our ability to provide safe, world class, large scale, creative pyrotechnic displays. The projects have been undertaken at various locations around the world, in diverse weather conditions, firing from multiple locations and firing in perfect synchronisation with other multimedia. The events also demonstrate how the team from Howard & Sons Pyrotechnics actively works in conjunction with event producers, event coordinators, technical partners and all levels of government in a professional, efficient and ethical manner. City of Perth Australia Day Skyworks, Perth Where at?